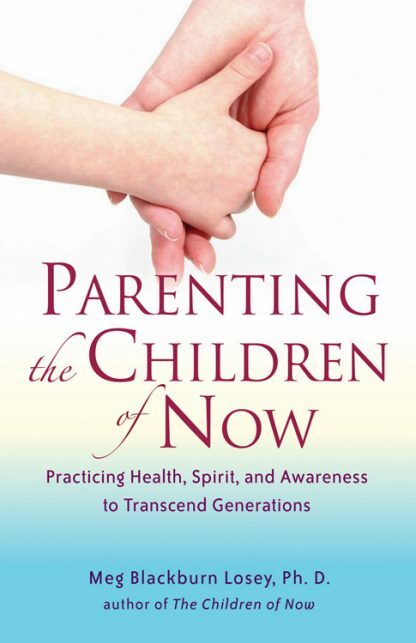 Red Wheel ∕ Weiser Online Bookstore | Parenting the Children of Now: Practicing Health, Spirit, and Awareness to Transcend Generations by Meg Blackburn Losey, Ph.D. Unless parents are comfortable with who they are, they can't help their children be who they are meant to be -- gifted beings with a message for humanity and the future of our world. This helpful book is one that parents will turn to again and again as they face struggles with their children, learn to live life to its fullest, and take pleasure in the life they are creating with their children with Dr. Meg's help. We are faced with a generation of new children who are far more aware than children of previous generations. We need to get our acts together and get over our internal issues if we are to be the kind of parents and caregivers that the Children of Now need. Parenting the Children of Now addresses these issues with simple explanations and offers easy solutions. * Author's radio show, Continuum, broadcasts on ShirleyMacLaine.com. * Estimates are 60% of people 14 to 25 and 97% of children under 10 are Indigo.